“Alliance for Arts + Rights of Nature” was awarded $3,500 plus travel support and will explore the inherent rights of nature and address the questions: Does nature possess inherent rights? How can a legal framework grant a natural entity personhood? What role can art play in exploring this line of inquiry? The project will integrate policy and action through artistic methods. Team members include Berea Antaki, first year MS in Textiles and Merchandising at the University of Georgia; Carla Cao, first year, MS in Music Composition at the University of Georgia; Iva Dimitrova, fourth year BS in Mass Media Arts at the University of Georgia; Nima Hamidi, PhD candidate in Music Composition at the University of Iowa; and Suzie Henderson, fourth year BS in Ecology at the University of Georgia. 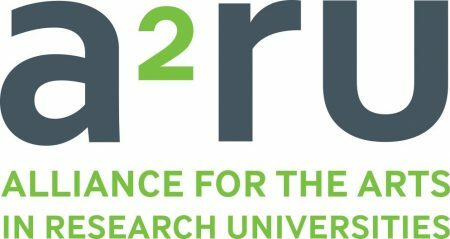 Teams will work over the course of the summer and will present on their projects at a gathering of research university administrators, faculty, staff, and students this fall at the 5th Annual National a2ru Conference: Arts in the Public Sphere: Civility, Advocacy, and Engagement November 1-4, 2017, hosted by Northeastern University, with co-host a2ru partners including Boston University, Massachusetts Institute of Technology, and Tufts University.